Beacon technology is poised to change the way consumers interact with brands, making devices more helpful and revolutionizing the way retailers measure the offline impact of online ads. When it comes to cutting-edge marketing, one technology is top of mind: beacons. In fact, more than a million beacons are expected to be installed in U.S. retail stores this year alone. But right now, many marketers only think about using beacons to push phone notifications. 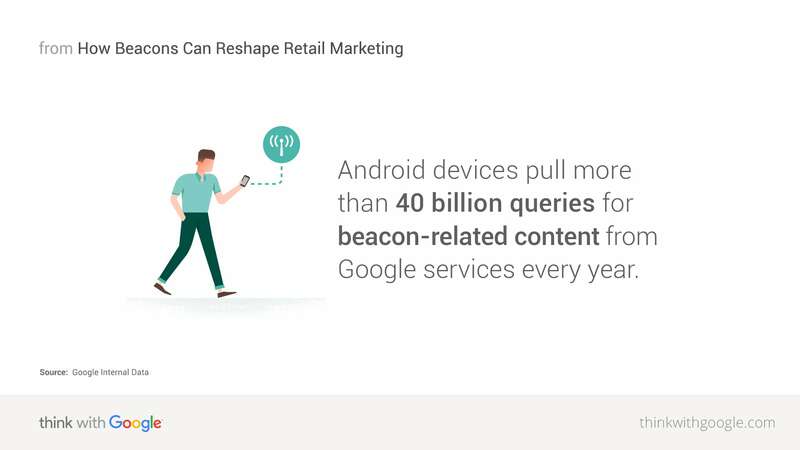 At Google, we think beacons have the potential to do much, much more for consumers, brands, and marketers. To realize this potential, we created Eddystone and the Google beacon platform. With these platforms, beacons are no longer limited to communicating only with a brand's app. Brands can integrate beacons with Google products and services, as well as their own and their partners' apps. For consumers, this means a frictionless shopping experience, with fewer gaps between channels. For retailers, it means reaching the right person at the right time with the right message, with new and improved metrics to measure success. To understand beacon technology, look back at one of the oldest: lighthouses. Just as lighthouses mark locations with beams of light, beacons are physical landmarks that send signals to mobile devices. These beacon signals enhance how people connect to their surroundings by giving their phones a much better idea about where they are. Think of a busy dad paying for parking through the Instant App associated with the beacon in a parking meter, or the young professional checking out popular times for her favorite restaurant so that she doesn't have to wait. Nearby Notifications makes shopping better by helping shoppers get things done with their phone, such as scanning items to get reviews or splitting the bill for their table in a restaurant. The technology also makes it easier for consumers to get useful information, whether that means seeing if an item is in stock or locating that same item while in-store. Beacon technology has been used in marketing for years, but Eddystone introduced a few really important improvements. Eddystone is an open-source beacon language, so it can be programmed by any developer, with specs and tools available on our developer site. It can also communicate with mobile devices across Android and iOS. And, with Eddystone, beacons can be used to communicate different things to different websites, apps, and services on mobile devices. For example, in the last year, United Airlines installed beacons that work with Nearby Notifications on Android phones. These beacons help consumers prepare for an upcoming flight by helping them install the in-flight entertainment app that's available for mobile devices. And, perhaps most importantly, Eddystone and the Google beacon platform are extensible. This means they will continue to improve as more capabilities are invented and developed, using the same physical infrastructure. We're excited to see how other brands and retailers use the technology to improve the consumer experience. Just as beacons enable consumers to become more attuned to their location, they also give marketers new insight into the real-life behavior of their consumers. As beacon technology becomes more widespread, it will help marketers see how Search Ads and Local Ads affect in-store visits. For example, we ran a randomized controlled study with 10 of the largest U.S. big box retailers, including Target and Bed Bath & Beyond. We found that on average, the number of incremental store visits driven by mobile search ads exceeded the number of online purchase conversions. These were store visits that otherwise would not have happened, proving the substantial offline impact delivered by mobile search ads. Beacons are bringing this functionality to more stores through improvements in place detection. Similar to other products—such as Popular Times—that use Google location data, safeguarding consumer privacy is top of mind. Users opt in to location services in order to benefit from extra functionality in a range of products from Search to Maps. The platform aggregates location data across many users and uses differential privacy to ensure that no individual user can be identified to a third party. Location-based marketing and proximity marketing with beacons are projected to grow exponentially in the next few years. To stay ahead of the curve, brands should invest in the beacon infrastructure that will enable consumer devices to work best within their stores. What do you want to communicate to consumers? The most flexible approach is to deploy beacons with abstract identifiers that are linked to your Google Cloud Platform account. You can then use Nearby Notifications to help users interact with your store through the web or your brand's app. And, contrary to popular belief, you don't necessarily need an app to take advantage of this. You can also work with partners whose apps can interact with your venue, extending and enriching your visitors' experience. If you only want to point to a single webpage, broadcast its URL directly from the beacon. 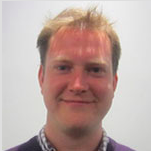 How are users interacting with your venue? The place marker for your venue may already be emphasized in Google Maps if it's popular in your area or on a specific user's map if they're a frequent visitor. Ensuring that your visitors' devices know that they've visited improves your venue's presence across a range of Google products. In particular, we're piloting the use of beacon signals to bring Store Visits measurement to more venues, helping you understand the offline impact of your online ad spend. Ask your Google representative about the Store Visits and beacons program. Contact a manufacturer. The list of manufacturers that can install beacons that support Eddystone is here. These manufacturers can help you learn more about setting up and using beacons. To make sure your beacons will work with Google technology, ask for Eddystone and make sure to ask that the Google integrations are enabled through Google Cloud Platform. 2 Google AdWords Internal Data, 2016.